It seems a blue screen of death “Thread Stuck in Device Driver” is bugging some Windows 10 users. Here is how to fix this BSOD. The blue screen errors are mostly related to the driver problems on your PC. A corrupted or incompatible driver software often causes this type of problems. Sometimes, Physical damage to specific devices like GPU, Sound Card, etc. also can cause a blue screen of death. So, To fix thread stuck in device driver, you will have to fo focus on these things too. Because The Windows 10 users encounter this problem mostly because of these reasons. When this BSOD appears, your computer automatically restarts to avoid permanent damage. If it happens frequently, it’s annoying. This blue screen of death may appear with additional error codes like 0x100000ea. There might be different things that cause this problem. But, The solutions are not different. If you want to troubleshoot this BSOD, just follow these methods one by one. To solve thread stuck in device driver error, you should try it as the primary solution. Because your graphics card drive problem is the most common reason behind this blue screen of death. Else, Other driver issues also may cause this issue. In this case, I recommend you to update all other drivers including the video driver. To update the video driver, follow these instructions. At first, Open the start menu, type devmgmt.msc and press enter. It will open the Windows device manager. Now, Find and “Display adapter” and expand it. Follow the onscreen instructions and choose your preferred method to update. By this way, You can update all of the driver software. But, It may be time-consuming to update them one by one. In this case, You can use third-party software like Driver Booster or Driver Easy. 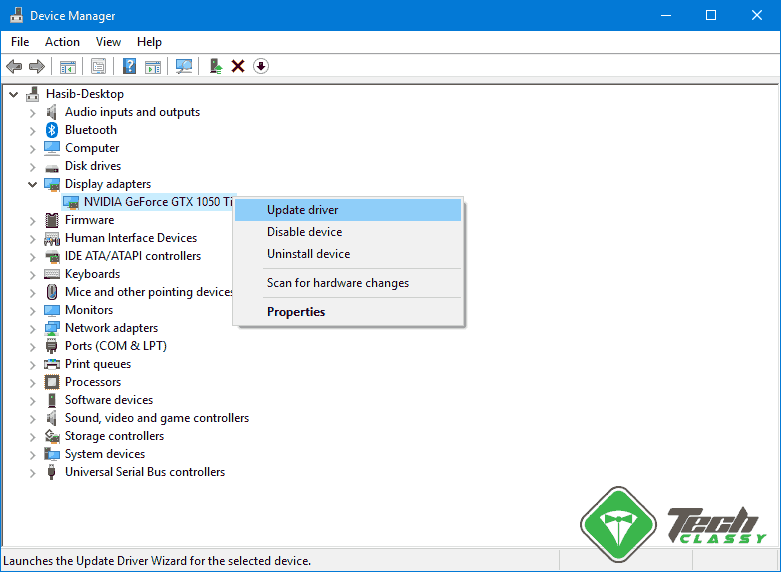 Anyway, Here is a complete guide on how to update drivers on windows 10 automatically. In some cases, Windows update comes with fixes for known problems. So, You also should update windows to fix thread stuck in device driver. Some antivirus and firewalls may cause BSOD. So, You can try to disable them temporarily to see if it fixes the blue screen of death. Sometimes, Fixing faulty system files may help to fix thread stuck in device driver error. To do it, You will have to run SFC and DISM commands. If you don’t know how to do it, Read: How to Repair Corrupted System Files. It is a tricky process. But, Pretty effective to fix certain problems on your PC including this BSOD. So, You also should do it. But, You will have to check your motherboard manufacturer’s website to learn how you can do it. Because doing anything wrong may cause permanent damage to your motherboard. In BIOS/UEFI, you may have made some changes to over-clock your CPU. You probably should disable it. Because overclocking may boost performance but also bring many problems like this one. 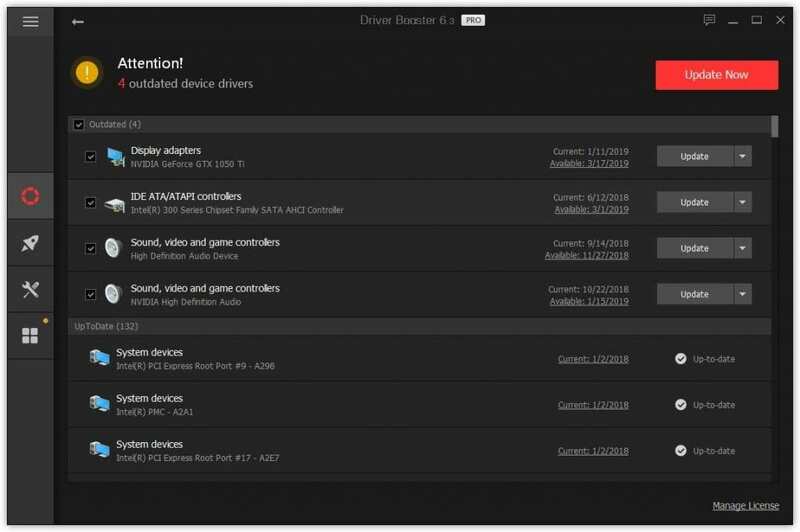 So, To fix thread stuck in device driver, disable these settings to see what happens. Overheating is another reason that may cause this problem. Especially, In laptop where overheating is pretty common, you should take the necessary steps to avoid it. For example, You can use a cooling pad. In Desktop, Make sure all cooling system is working well. If you have an extremely old PC/Laptop, using heavy apps or software can cause overheating. As a result, Problems like BSOD may appear. So, Make sure you don’t let your CPU to overheat. Still getting the BSOD? It’s time to dig deeper. You should find out which specific thing is the reason behind the thread stuck in device driver. Then, Take steps to fix it. But, How? 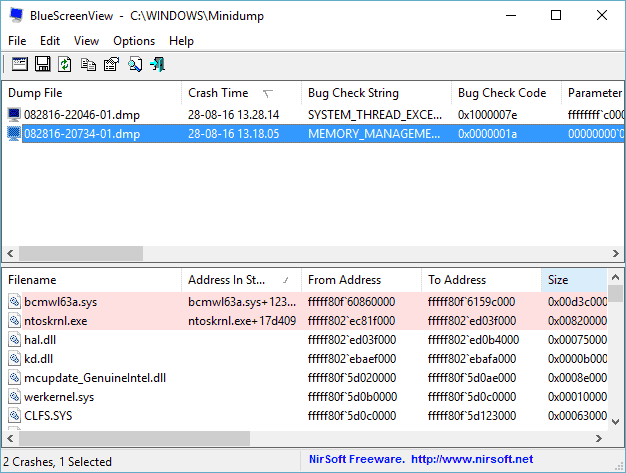 You can create and analyze a dump file. It will help you to troubleshoot any kind of blue screen of death errors. These are the most effective ways to fix thread stuck in device driver. I hope this troubleshooting guide will help.